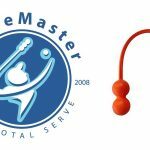 Home » Theory » How Can I Improve My Backhand? The tennis backhand can be a difficult shot for beginners in tennis. Most players today are taught the two-handed backhand, which is the shot most professional players hit with on tour. As a tennis instructor, I only teach the two-handed backhand. But this doesn’t mean the one-handed backhand doesn’t have a place. I think this is evident by looking at the career of Roger Federer. Federer uses a one-handed backhand, and as of the writing of this article, has racked up 20 grand slam titles. Not bad. If the one hander was a detriment, he would have never won a single major. If you’re new to tennis and wondering which way to go on your backhand – one hands or two – I can tell you both are a great choice. But only one will work better for you. And only you know. 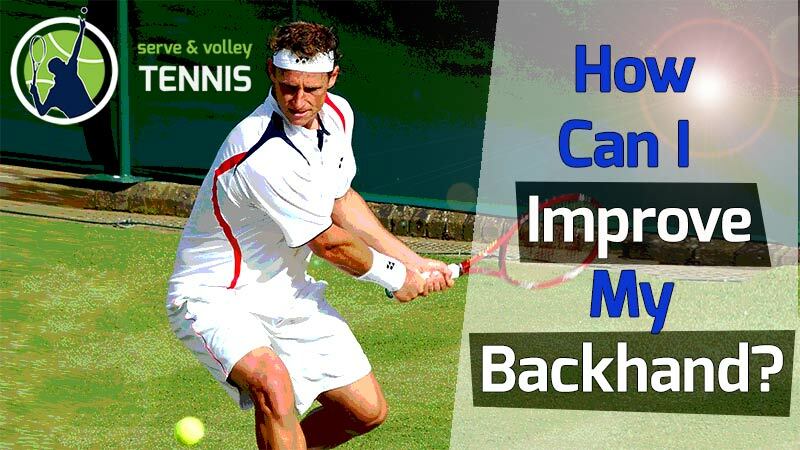 If you lack power or accuracy on your backhand, chances are your mechanics and timing are at fault. If you’re using the two-hander now, and you lack power, you may consider switching to the one. I hit with both the two and the one, and I can tell you that there is no comparison for me. 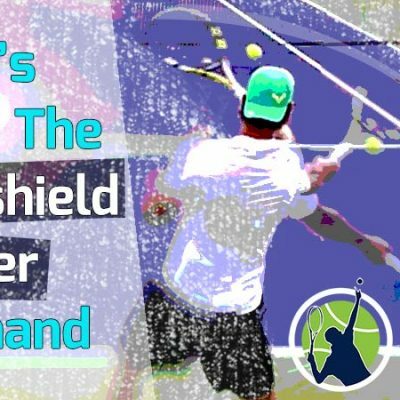 While the two-handed backhand offers stability, control, and allows me to hit late, it really lacks the drive and effortless power of the one-handed backhand. I’ve always had a natural one-handed backhand and can crank the ball when it’s in my zone. I’m getting better at hitting the high shots (balls above the shoulder). This is the major challenge for all one-handed backhand players and the reason why Rafael Nadal always beats Federer on clay. 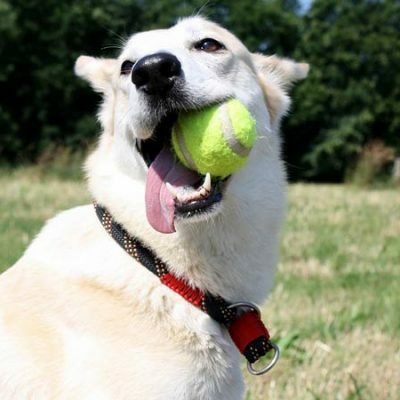 I discovered that you really need to brush strongly on the ball when it’s up high. By doing so, you can generate good topspin while still hitting with pace. However, it’s tricky and takes a while to learn. 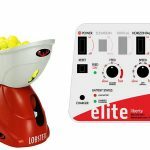 Your best bet for improving your backhand (one or two) is on a ball machine. I like to have the balls bounce around head height so I can practice hitting the high shots. I feel like if you can deal with the high shots in tennis, you can deal with anything. By now it may be clear that I favor the one-handed backhand. It’s one of the purest shots in tennis and if executed correctly, it’s virtually effortless. I know many people struggle with their one-hander, so I want to give you some tips that really helped me. 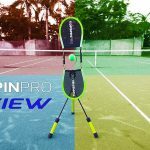 How Do I Improve My Backhand For Tennis? I am only going to talk about the one hander here. I have other blog posts all about technique on the two-hander, if you’re interested. First off for your one-hander, you’ll want to have an eastern backhand grip – or something very close to it. The modified eastern grip works well too. See below for more information on backhand grips. When hitting the one hander, it’s very important that you establish a good power position. 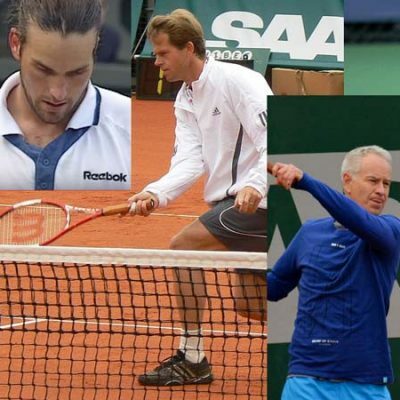 Take a look at the best one-handed backhand players in the game today. You’ll see all of them getting into the power position before striking the ball – that is unless they have no time to set up. For that reason, I think it’s mandatory you establish a power position before hitting the ball. 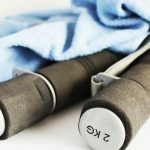 While this article is not meant to go into detail on technique, I must emphasize this part of the stroke. Look at the pictures here to see the power position for the one-handed backhand. It involves a very strong unit turn. After establishing the power position, you’ll work your way into the slot position. On this part of the stroke, the racket will drop and your hand will be very close into your body. The tip of the racket should be behind you (meaning opposite side of the body) at this point. I feel this is an area of the backhand where a lot of people go wrong. I see many club players failing to either drop the racket down or bring the hand in close enough to the body. A failure of either, especially the latter, will result in lost power. I urge you to look at Federer’s backhand in super slow motion. You’ll first see him attain the power position. Next, he moves into the slot position. These are not difficult maneuvers to achieve. You just need to practice them. Why is a good slot position so important? It’s because the racket needs maximum room to accelerate into the ball. It does that by moving away from the body and out into the ball. Every groundstroke in tennis has an outside-inside-outside component. I talked about this in other blog posts. The one-handed backhand is no different. This brings us to the third part of the one hand backhand, which is swing-to-contact. After reaching the slot position, you’ll swing to contact the ball. 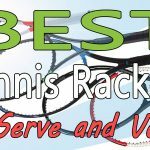 Your nondominant hand will come off the racket and your dominant hand (the one with the racket) will remain perfectly straight throughout the rest of the stroke. This is crucial. For some reason, people like to bend their elbow before they hit the ball or after. This will surely detract from power and accuracy. If the best one-handed players in the world don’t bend their arms throughout the whole stroke, why would you? As you swing (with a fully straight arm) to hit the ball, contact should be made in front of the lead foot. Unlike the two-hander, where you can hit late, the one hander needs to be struck out in front of the body. For this reason, good preparation and timing is essential for hitting the one hander. However, the benefit is more effortless power than the two-hander. Think of it like this: If you throw a frisbee, would you throw it further using one hands or two hands? The answer is one, which is why frisbees are only thrown with one hand. Throwing a frisbee and hitting a one-handed backhand are similar motions. It makes sense then that the one hander can generate more power. The act of throwing a frisbee or hitting a one-hander is even a more natural motion than hitting a forehand. With the backhand motion, we are throwing away from our body. In the latter (the forehand) we’re throwing against or across our body. I believe that the one hander provides the most powerful shot in the game of tennis, with the exception of the serve and overhead. This is because of the tremendous amount of torque created before the shot. Okay, enough about biomechanics. Let’s get back to the swing-to-contact. As you make contact with the ball, your hitting hand should be almost in a punch position (see picture). Your first will be almost facing your opponent with hand, wrist, and arm all aligned straight. This is another place where many club players get it wrong. I see them bending their wrist or hitting the ball too soon or too late. Look at the pictures here so you can see the correct arm position when making contact. After contact is made, you’ll continue the swing all the way to follow through. The best one handers on the pro tour (Dimitrov, Thiem, Wawrinka) make a complete follow through, so the bottom of their rackets end up facing their opponents at the end of the stroke. This takes some flexibility. Most of you at the club level will be fine following through around 80-85% of the way (from the pros). Just make sure you finish high and your arm stays straight. It’s critical to mention here that you should keep your nondominant hand back to stabilize your body. You’ll also want to keep closed (meaning stay to the side) as you hit the one hander. Another common issue on the one-handed tennis backhand is opening up too soon. This means players face the court way too early when hitting the stroke. It’s important to stay to the side, as I just mentioned. If you can put all these steps together into one nice, smooth-flowing stroke, you’ll have yourself a beautiful one-handed backhand. In time, you’ll be able to hit with power, topspin, and accuracy. Remember to video yourself to make sure you’re hitting all the major positions correctly. Practice shadow swinging at home to ensure you lock them into your muscle memory. Then reinforce it on the ball machine or with a practice partner. If you know somebody that can volley well, have them stand at the net and volley the ball to your backhand over-and-over. This one of the best ways to practice. You’ll hit more backhands than in rallies and learn to set up faster. Who Has A One-Handed Backhand? While the one-handed backhand is waning in popularity, there are still some very successful pros in the men’s game that use it. As of 2019, here are the best one handers in the game of tennis. On the women’s tour, very few players use the one hander. I can only think of two players that use the one-hander who are ranked inside the top 100. Everyone else uses the two-hander. Amazing. In the rest of this blog post, I’m going to answer some common questions people have about the one hander. I think you’ll find this segment interesting. What Grip Does Roger Federer Use For Backhand? Federer uses a modified eastern backhand grip. This is where the knuckles are not sitting directly over bevel one but positioned slightly more to the second bevel. This is the same grip I use on my one-handed tennis backhand. I feel it offers maximum power with sufficient spin. 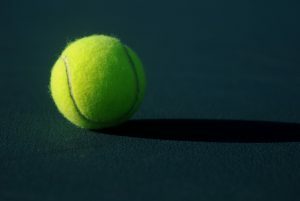 What Is Tennis Eastern Grip? The eastern grip, also called the eastern backhand grip, is when the knuckles of the hitting hand are positioned directly over bevel one. When hitting the backhand, bevel one is the top part of the handle. This is a great grip for hitting the one handed backhand with good power and spin. It is used by many of the ATP pros who hit with one hand on their backhand. 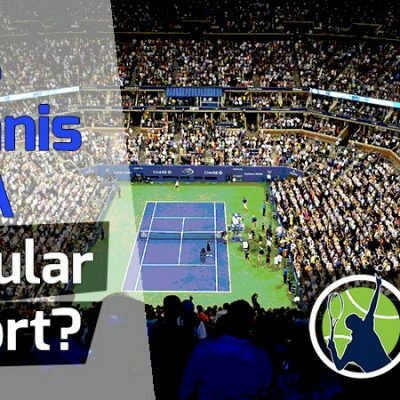 Why Do Some Tennis Players Play A Single Handed Backhand And Some A Two-Handed Backhand? It largely depends on how players were coached when young. Almost all coaches these days teach the two-hander over the one. But back in the 1990s, when most of today’s players were learning the game, old-time coaches still preferred the one hander. For this reason, they taught it to their students. The great players on tour you see today who use the one probably had such coaches. In some instances, a coach will show a young player both strokes and see which one the player hits better. Some players really take to the one hander. The one-hander was more popular when serve and volley was in vogue. This is because one-handed backhand players have an easier time serving and volleying. Such was the case with Pete Sampras, who started off with a good two-handed backhand, but made the switch to the one when he was around 13-14 years of age. I personally use both the one and two, but favor the one, as I find it gives a lot more power. As we already saw with the woman’s game, coaches are exclusively teaching the two-hander now. With serve and volley falling out of vogue, there’s really no reason for players to hit with the one anymore. Why Are There So Few Tennis Players With One-Handed Backhands? The one-handed backhand was very popular in the 1960s and 70s. Popularity for the one started to wane in the 80s when better racket technology was invented. Balls were struck harder and there was less time to set up for shots. 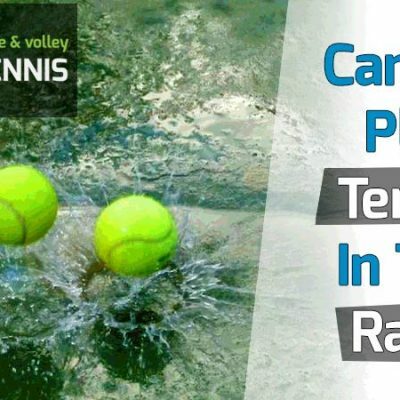 The one-handed backhand requires more time to set up and more precise timing than the two-hander. For this reason, the learning curve on the two-hander is a lot shorter than the one. Coaches recognized this as the game was becoming faster and more competitive. With increased racket technology, a two-hander could hit with comparable power to a one-hander. Two-handers can also take the ball later, hit the high balls easier, and have more control. As a result, coaches favored the two-hander and an influx of great two-handed backhand players flooded the pro circuit in the 2000s, especially on the women’s tour. It’s now a novelty to see a female player use a one-handed backhand. Is Wawrinka’s Backhand The Best One-Handed Backhand In Tennis History? I don’t think so. He certainly has a good one, but so do all the other players I mentioned in my list above. How can you not say Federer doesn’t have the best one hander in tennis? He’s only won 20 majors! I think it all comes down to preference. All these guys can crush their one hander and can end the point in one swing. Personally speaking, I’ve always like the backhand of Nicolas Almagro. But Dominic Thiem’s backhand is amazing as well. 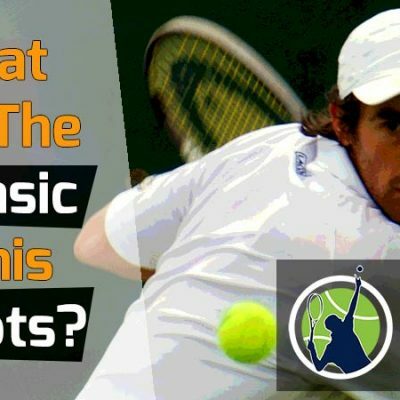 Why Is The Two-Handed Backhand Preferred In Men’s Professional Tennis Today? And Why In The Women’s Game Too? There are still men who use the one in the pro game, but the numbers decline each passing decade. On the women’s side, the one hander is virtually extinct. I wouldn’t be surprised to see the day when all top 100 women on the WTA tour use the two-hander. 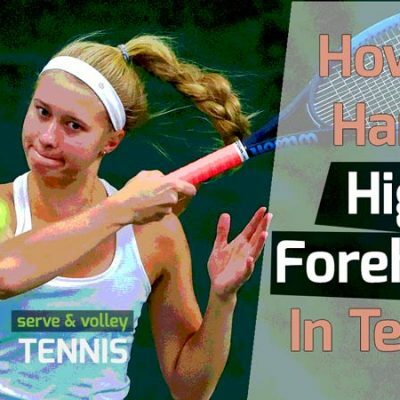 Should Kids Learn The One-Handed Backhand? Absolutely. Why not? Here’s the thing about the one-handed backhand. I’ll put it in this light, or use this metaphor. Imagine teaching a child how to paint in watercolor and in oil. The watercolor can be learned in not too long a time, but it’s a bit limited in terms of its artistic ability on canvas. Learning to paint in oil is a more refined craft that takes longer to master. However, you can create more diverse art with oil, as its textured. In the end, which is better? While both are beautiful, the oil painting is simply a richer art. But there’s a price to pay for learning to paint in oil (or hit a one-hander), namely the time and practice involved. The one hander still has a place in the game of tennis. The most successful players of all time have and had one-handed backhands. Here are just a few: Federer, Sampras, the Bryan brothers, and Martina Navratilova. Combined, they have over 250 titles. Not too shabby. I would suggest showing a child both and asking the child which one they like more. 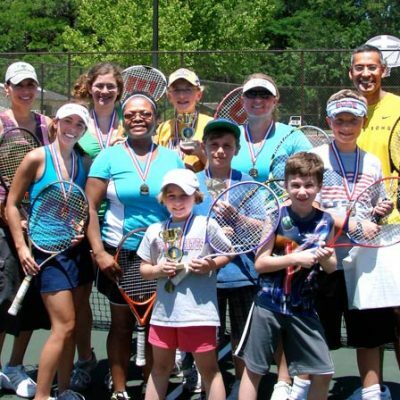 If a child likes to practice and can put in the time, the one handed backhand is an excellent choice. Yes, there will be more of a struggle in the early stages, but it will pay off down the line. I’ve seen youtube videos of 10-12 year old children hitting incredible one handers. Thanks for taking the time to read my blog. If you have any questions about the one handed backhand, drop me a comment below. 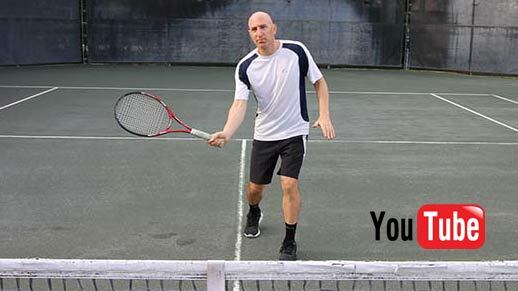 Don’t forget to check out my youtube channel for awesome video tips on your backhand.